The RBC analysis test will report your intracellular RBC (inside cell) levels for the following: Calcium, Magnesium, Potassium, Phosphorus, Copper, Zinc, Iron, Manganese, Chromium, Selenium, Boron, Vanadium, and Molybdenum. The RBC test helps you fine tune your system by providing more data for why optimum absorption may not be occurring for you. This test is critical to prevent or improve cancer, diabetes, heart disease and other immune deficiency diseases. Instead of being frustrated that your glucose always needs work or your zinc level is always low or your alkaline phosphatase is normal but far from optimum and your thyroid just never improves… the RBC test provides the specifics to help you determine exactly which nutrients are too low or too high or missing entirely and how much more of a nutrient you need to eat in foods or to take in supplements. Manganism is a central nervous system disease first described in the 1800s following exposure to high concentrations of manganese oxides. Manganese madness was the term used to describe the initial psychiatric syndrome (compulsive and violent behavior, euphoria, and hallucinations). Studies are showing that for all counties where there is manganese pollution there are higher rates of violent crime. The story is similar for lead and for manganese, but where lead and manganese are in the same county, the effects are much worse. Other studies are implying high levels of manganese and/or lead contribute to Attention-deficit/hyperactivity disorder (ADHD). Symptoms of high levels of manganese may include: fatigue, headache, low systolic blood pressure, drowsiness followed by insomnia, and sexual impotence. Chromium: Do you know how much you need? Chromium helps regulate the body’s metabolism and stimulates enzymes in the making of fatty acids, cholesterol, and protein. It plays an important role in the proper functioning of insulin. Chromium is part of the process that increases the effectiveness of insulin. It assists insulin in removing sugar from the blood. It provides nourishment to the pancreas to help it function more accurately. Whether your glucose trends high or low, knowing your chromium level is essential. For example, if your glucose score is not optimum, knowing your chromium level inside the cell could provide the missing link for correcting the problem. Without knowing how much chromium and zinc are being absorbed inside the cell, you can only guess how much more you need to eat or supplement these nutrients. Having this new data will allow you to reach optimum scores sooner. Calcium: Do you have too little or too much? As we know, our bones and teeth are made up of and store approximately 99% of the calcium in our body; the remaining 1% is called “free calcium” and is dissolved in the bloodstream. The dissolved calcium does the actual work by: facilitating muscle contraction, aiding nerve transmission, helping blood clot, and maintaining bone strength. It is imperative to know not only how much calcium is in the serum of the blood but how much is within the blood cell as well. Many YFH clients find high levels of serum Calcium in the HealthPrint test and yet find critically low amounts (intra-cellular) in the Red Blood Cell Analysis. Knowing this information as well as the levels for: vitamin D, RBC boron, RBC phosphorus, and RBC magnesium is essential for taking corrective action. YFH has empirical research data that indicates that excess calcium can lead to cancer of the breast and too little calcium leads to irregular heart beat and heart attacks as well as osteoporosis. 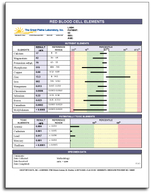 Order the HealthPrint+ and receive the RBC Analysis Test along with the Basic HealthPrint. You will be very glad you did. Note: BORON is often added to multivitamins and calcium supplements. YFH has discovered that most individuals receive enough of this nutrient from their foods. 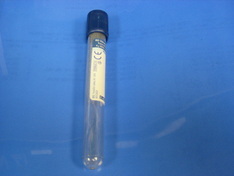 It is essential to test boron levels. YFH has helped many of our clients avoid developing boron toxicity by knowing which supplements are needed and which ones are not. It is true that boron is needed to assist calcium absorption but that does not mean you need it in supplement form. YFH believes that it is critical to know when foods as well as supplements are needed and when you have an excess. The RBC analysis will identify (if present) 5 heavy metals including: Mercury, Arsenic, Lead, Cadmium, and Thallium which are very harmful. Studies show that they are stored in fat cells and brain cells and may be one of the leading causes of Alzheimers and ADD. 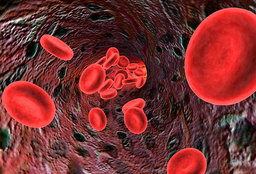 Fibromyalgia, arthritis, cancer, heart disease, diabetes and multiple other diseases are all affected by heavy metals. In the case of heavy metals you will now know how to facilitate the removal of that metal. We can help you know what thousands of people have done naturally without EDTA chelation therapy to solve this serious problem. The test is reasonably priced and includes the doctor order, draw fees, shipping fees as well as your written report and free group telephone conference call (calls are scheduled once per month) to explain the test. This is a stand alone test and does not have to be ordered with any other. This test is the perfect complement to the HealthPrint because the HealthPrint measures the nutrients outside the cell which are then available to be absorbed inside the cell. The RBC test tells you if the nutrients your body is supplying are actually being absorbed to nourish the cell. Until now we were only able to tell you that you needed more or less of a nutrient to be available. We could also report whether circulation, oxygenation, detoxification, the immune system strength and inflammation index were optimum. Now the RBC test helps you fine tune your corrective action plan by providing more data for why optimum absorption may not be occurring for you. YFH is very excited about this test and the many ways it can protect your future health and the future health of those you love.